If you missed #48 click here. Best Moment: Just enjoying the simplicity of the game and its soothing soundtrack. 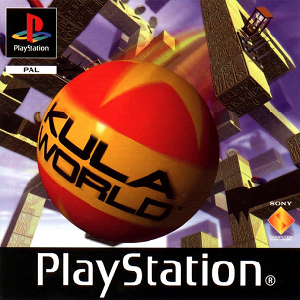 Americans may know this game as Roll Away, but here in Europe i was called Kula World. I'm surprised it was released in 1998, because this was one of the first games I ever played on the PS1 and I thought it was more of a demo to show the 3D physics of the PS1, which were at the time incredibly innovative. But, nope, that's just me, being late in terms of seeing a PS1 and its games for the first time back at the end of the millennium or the start of this current one! Kula World is a simple puzzle game. 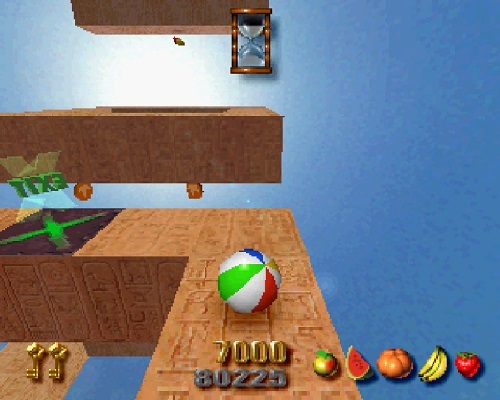 You're a beach ball and you need to collect coins, keys and fruit to get from one level to the next level. You need to avoid spikes and other hazards, and you're only allowed to travel in certain directions at certain corners. It's the type of game you could see PopCap making, but this was before PopCap even existed. It's a good puzzle game, it's a shame it didn't get more attention than it got to be honest! Check out what came in at #46 by clicking here!